Parakeets will sing for a good meal. 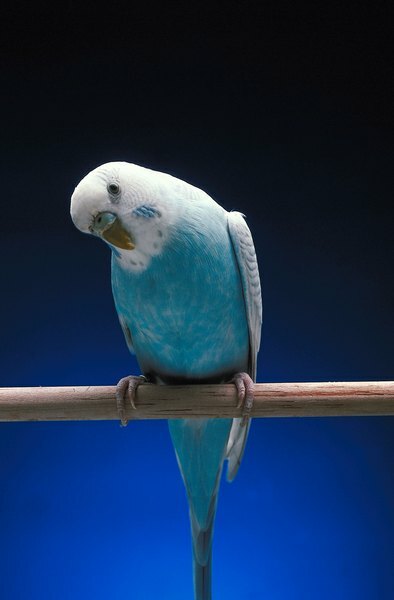 Parakeets, also known as budgies, have specific nutritional needs and particular tastes. A tasty commercial parakeet mix that offers the recommended essential vitamins, combined with measured rations of healthy raw vegetables and fruit will go a long way towards making him a happy, healthy, budgie boy. Not all parakeet seed mixes are created equal, so take a moment to read the required printed nutritional information on the package to assure that you are purchasing a quality seed mix diet. Quality parakeet mixes should include seed varieties, nuts, fruits, vegetables and supply the following: vitamins A, B, C, D, E and K, as well as calcium and protein nutrients. Pellets are a blend of grains, seeds, vegetables, fruits and various vitamins, minerals and proteins all mixed together and baked into yummy nuggets. Unlike seed mix diets, your picky budgie boy cannot weed through certain items for his favorites because everything is contained in one pellet. And just like the seed mixes, pelleted parakeet diets are mixed to fit the specific nutritional needs of your special pet. Raw vegetables are an excellent source of nutrition that you should introduce to your budgie in baby steps, allowing him to adjust to the change in diet. In addition to his seed or pellet feed, dark yellow and leafy green vegetables like parsley, snow peas, squash, lettuce and cucumbers have proven to be parakeet favorites from the garden. Small portions of sweet, nutritious fruit added to your parakeet's regular diet of seeds or pellets will keep your buddy happy, and just may cause him to sing out your praises. As a nice bonding exercise, try joining him for a shared fruit snack each day. Fruits that seem to rock for parakeets include kiwi, mango, oranges, grapefruit and apple. Always remove the pits and seeds of any fruit before feeding them to your pet parakeet.